An organized schedule planner, systematized marking of events, and a cohesive way of jotting down important details are the perks of having a calendar. Calendars are also great for students, especially when it comes to tracking assigned homework or listing study times. This will help them monitor what homework or projects they’ll need to do for a given period of time. For people looking for calendar templates our wide selection of calendar templates is offered here. These are pre-formatted documents that will make it simple and easy for you to jot down important homework, events, and all relevant notes. Go ahead and select which one you deem suitable. 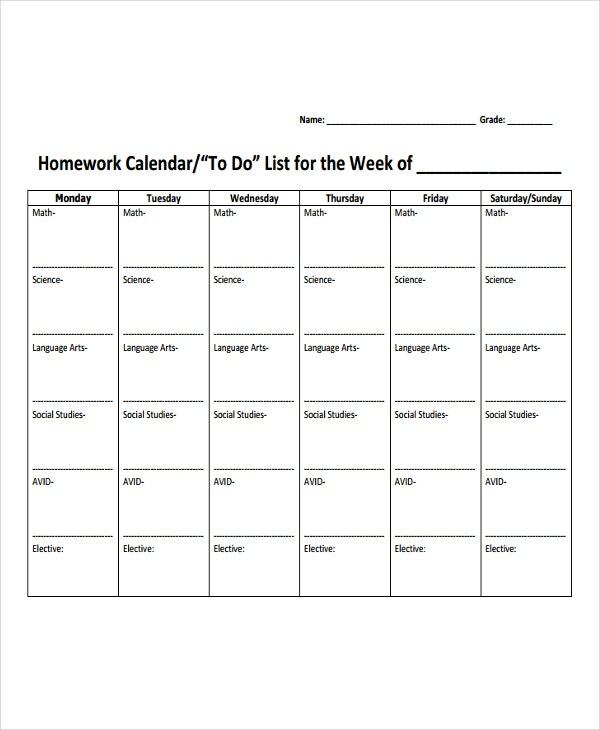 What is a Homework Calendar Template? 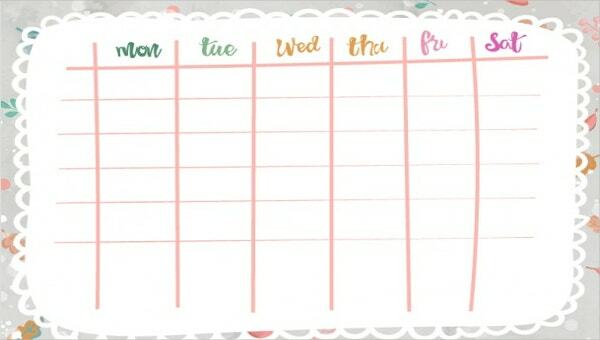 This is one great way of tracking homework, study schedules, and marking of important events related to school. If you are someone who keeps missing on assignments or projects, then a homework calendar template is what you need. These are not only for students but for teachers as well. It can assist them in terms of tracking assigned work they’ve given to their students. What are the Types of Homework Calendar Template? 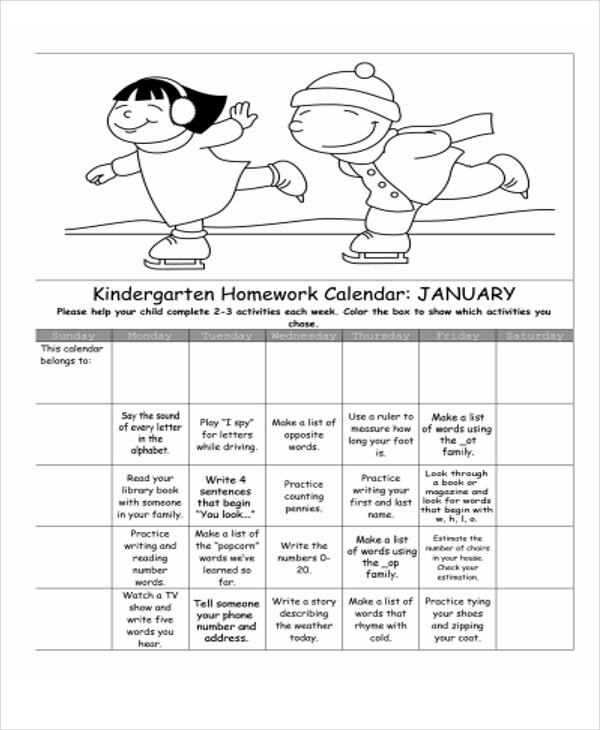 This page offers various homework calendars. This should go together with Family Calendar Templates in order for a student or teacher to have a more balanced schedule. 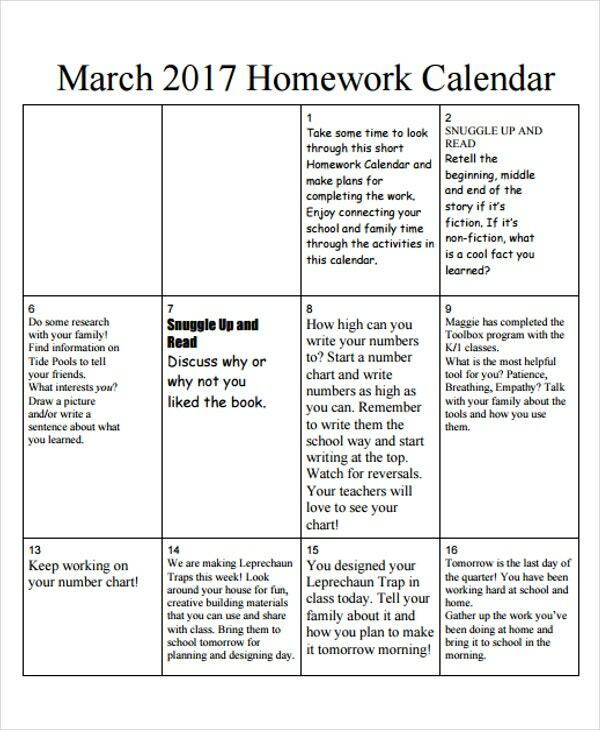 Here is a list of homework calendar templates made available for you. 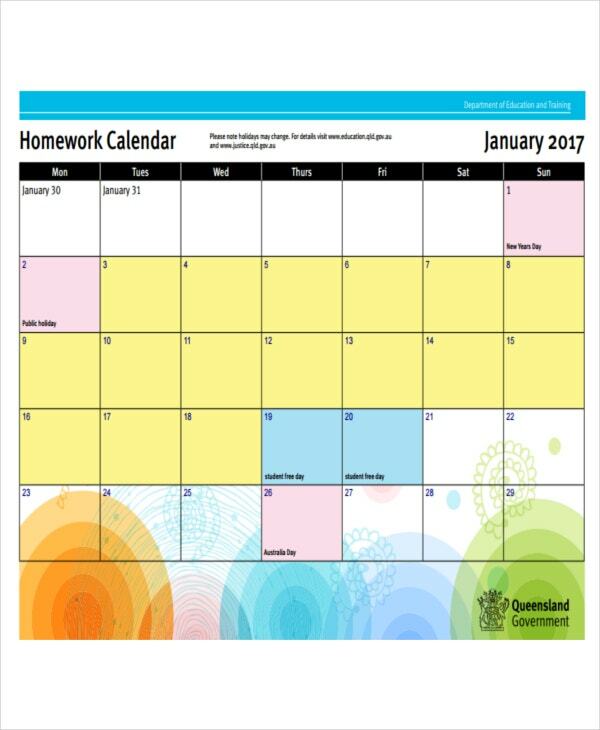 For a general school event planner and homework timetable, this School Homework Template is useful. It contains colored columns for a decorative calendar style. If you want to make your own content, format, and style, you might want to have this Blank Homework Template. This is also a freestyle way of making your calendar template. If you are looking for a monthly calendar format to track and record your homework, a Monthly Homework Template is what you need. 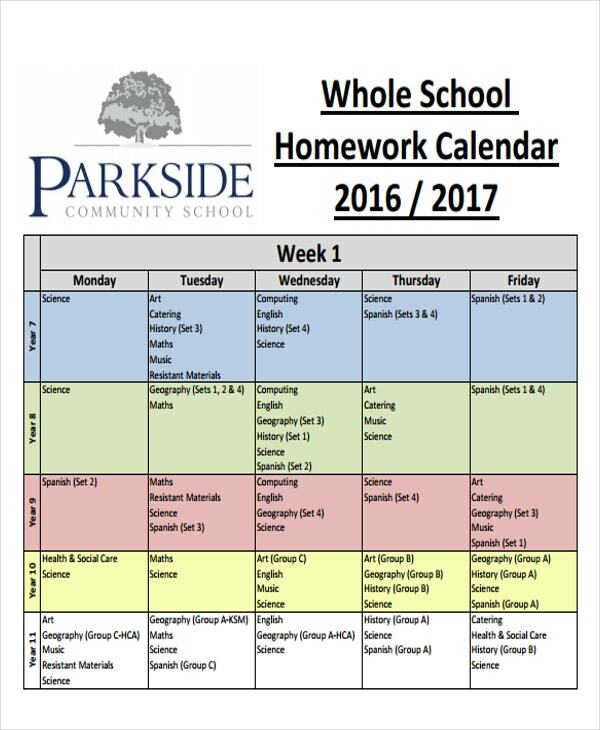 Don’t miss out any important homework in school, have a proper timetable for your studies. 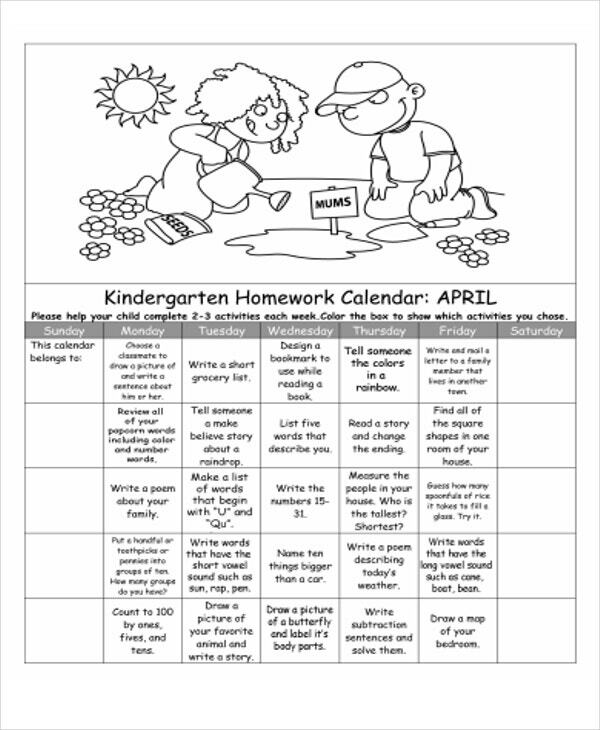 With these calendar templates for homework, you can never go wrong. Missing a homework, can put a negative effect to your study and will put your academic records at risk, especially if this is being done multiple times. Follow these helpful tips for you to get your homework done in no time. Always place a high priority on doing schoolwork. There are a lot people who do not focus on their studies, so they do not prioritize doing schoolwork. Organized a priority list. For this, to make your life simpler, download our Priority List Template. This allows you to write down everything you need. 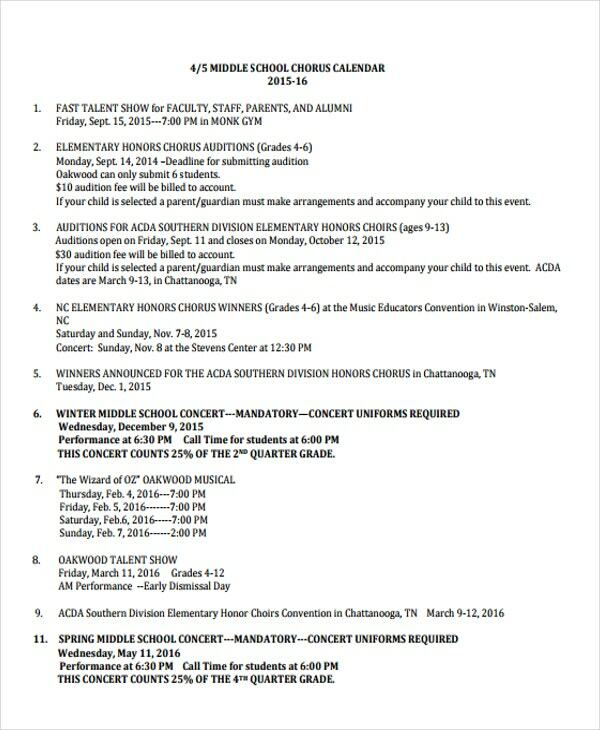 This is for both school and other activities. Start planning a time schedule and daily schedule. You need to include time allocated for your homework. For a better schedule planner, use it with our Weekly Calendar Templates. Create a list of of projects and tasks that are still unfinished. The purpose of this is to get a list that is not connected to specific days. You can put this in a daily planners. For a better way of managing your homework and study schedules, homework calendar template is the answer. Download these templates now.